Mike Mathers stands at the bar that has been in his family for 40 years. Craig — Mathers’ Bar is celebrating 40 years of business Friday night. 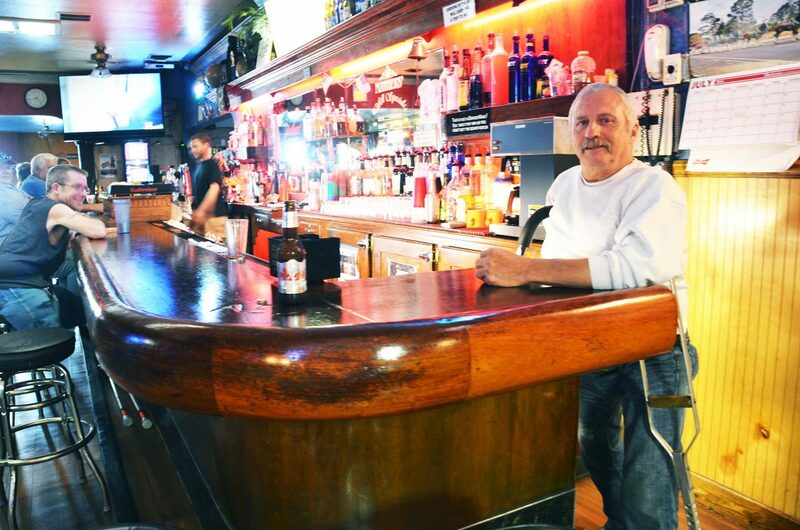 Mike Mathers agreed that the bar has seen just about everything, and he’s proud the bar is a fixture in Craig. A lot has changed since they first took over the bar, Tom Mathers said. Mike Mathers lamented some of the change. “It’s not the Old West anymore,” he said. To celebrate 40 years, Virginia’s will serve hors d’oeuvres and the bar will have drink specials Friday night, Mike Mathers said. The festivities will begin at 5 p.m. at the bar. He said he appreciated his customers throughout the years. “I’d like to thank all of my patrons for the past 40 years for making this a successful operation,” he said.